In teacher training, we learned yoga MUST be done barefoot. What if your student split in half doing wide-legged forward fold on your watch? Yikes. Plus, they can’t draw energy up from the earth through a barrier of cotton-acrylic blend. With the exception of savasana, socks are a no-no in the studio. But when I started teaching in social service settings, my students were often low-income or newcomers to Canada. I discovered nobody was taking off their socks. I tried to lead by example, worrying aloud about danger, talking about the foundational significance of the feet. Still, none of my students shucked their stockings. Finally, in my Yoga Outreach Core Training™ weekend, I learned that bare feet are a big deal. A-ha. Many times I’ve imagined the discomfort of sleeping in the cold, not having access to sanitary pads or water for washing. But I’d never thought about how poverty and mental wellness might affect feet. But socks aren’t just for hiding hygiene issues. They also represent choice.  Yoga Outreach uses yoga for empowerment, not sharpening up alignment. We hope our students’ biggest takeaway is greater confidence. To that end, a roomful of students choosing to ignore yoga norms in favour of their own comfort is cause for celebration. Sock power! I wasn’t the only one caught off guard by the commonality of socks in service settings. Brenda Worden has been volunteering at Pacifica Treatment Centre for over a year. Just like me, she encourages barefoot practise. Her pitch: without socks you get more connection between feet and mat, and more awareness of your foundation. And, of course, you’ll be safer. We’d like to make it possible for everyone with mental health or addiction challenges to feel stronger making choices. Even a small one about socks. But we need your help in two ways. First we want to spread the word that yoga in your socks should be choice everyone can make. And we’re so excited that @lululemonyvr is going to help us this Giving Tuesday, November 27. So please share your stories in the comments below, or consider sharing a picture of yourself doing yoga in your socks on Facebook or Instagram. Tag it #yogainyoursocks, #yogaoutreach, and challenge two friends to do the same. You’ll be entered to win a great prize. Second, we need money to launch four programs in the next three months, plus run our current programs. If you have the means, give to our #yogainyoursocks campaign today or even better consider becoming a monthly donor. Or sign up for a trauma-informed yoga training and volunteer.